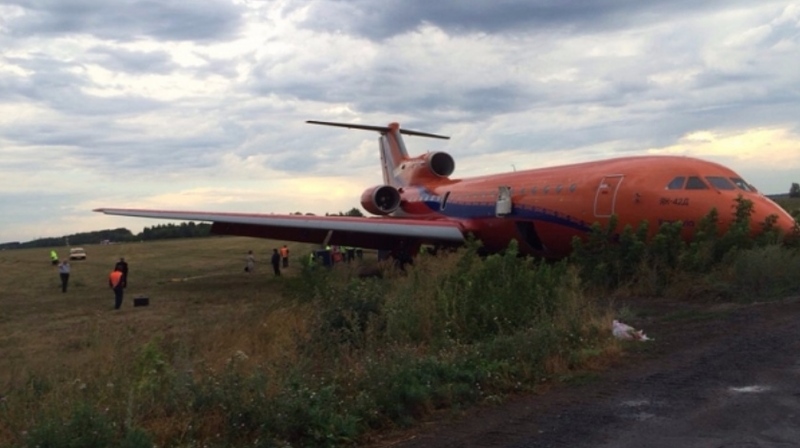 KrasAvia flight suffered a runway excursion after landing at Ufa International Airport in Bashkortostan, Russia, by 1,312 ft. (400 meters) Aug. 12, at 4:30 a.m. local time. The aircraft landed on runway 32R but failed to stop on the runway. There was a thunderstorm over the airport at the time of the incident which could be a possible reason of the overrun. However, an Investigative Committee is investigating all the causes possible including the aircraft’s technical condition, pilots and air traffic control operations. The plane travelled from Sochi to Ufa with 118 passengers. Fortunately, there were no fatalities or injures. The aircraft’s landing gear and left wing were seriously damaged.